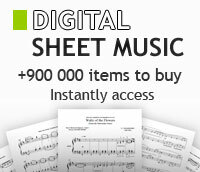 A wide range of study trumpet in stock on free-scores.com! By Henry Purcell. (Piano). Boosey and Hawkes Piano. 4 pages. Published by Boosey & Hawkes. Score and Parts. By Alexander Arutiunian. (Trumpet). Brass Solo. Size 9.25x12.25 inches. 32 pages. Published by Sikorski. Trumpet and Piano. By Carl Hohne, Carl Hoehne. (Trumpet). Boosey and Hawkes Chamber Music. Size 9x12 inches. 8 pages. Published by Bote and Bock. Arranged for Trumpet and Piano. By Georg Philipp Telemann. Arranged by Derek Hyde, Peter Wastall. (Trumpet). Boosey and Hawkes Chamber Music. Size 9.25x12.25 inches. 8 pages. Published by Boosey & Hawkes. Composed by Georg Philipp Telemann (1681-1767). Instrumental solo book for trumpet solo (trumpet in D) and piano accompaniment. With solo part, standard notation and piano reduction. Published by Editions Billaudot. By Haydn, Joseph (1732.1809). Trumpet and piano. Published by International Music Co.
By Jan Krtitel Jiri Neruda. For trumpet, piano. Paperback. 32 pages. Published by Breitkopf and Haertel (German import). By Robert Clerisse. For trumpet, piano. Published by Billaudot. By Camille Saint-Saens. For Trumpet and Piano. Published by Wiltshire Music/Cor Publishing Co.
By Alexandre Goedicke. Arranged by Stephen L. Glover. For trumpet and piano. Contemporary. Level: 4-5. Duration 3'10''. Published by Editions BIM (Swiss import). Composed by J. B. Arban, arranged by Edwin Franko Goldman (1878-1956). Set of performance parts for trumpet and piano. 20 pages. Published by Carl Fischer.